The Russia World Cup is almost upon us and England fans everywhere are once again starting to work themselves up into the usual frenzy of hope and expectation. But being a summer tournament, many will be panicking over how to watch all the action while enjoying their two weeks in the sunshine. Or if you’re an expat how you’ll watch at all! 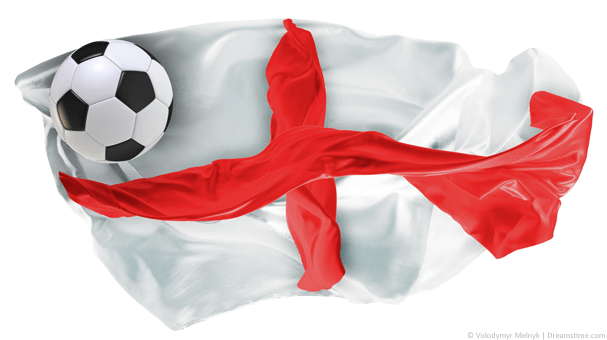 In this guide, we are going to tell you exactly how to watch England’s World Cup Matches abroad. And don’t worry about having to put up with non-English commentary or seeing England play second-billing to a game like Japan v Senegal. You can be enjoying the full British coverage on either BBC or ITV no matter where you are. As ever, the World Cup is only available in the UK on terrestrial TV, with the BBC and ITV sharing the rights. So, there is no need to cough up for a Sky or BT Sport package to watch any of the action. But, if you are overseas, and you try to log into either the BBC iPlayer or the ITV Hub to watch one of the England games, you will be out of luck. Both of these streaming services use geo-restriction technology to stop anyone from logging in from outside the UK. To get around this, you will need to use a VPN. A VPN enables users to get around geo-restrictions by rerouting all of your traffic through one of its servers. Geo-restrictions work by looking at the IP Address of your internet connection. But if you reroute all your activity through a VPN server located in the UK, it will have a UK-based IP Address. This means you can access the BBC iPlayer and ITV as normal, no matter where you are. And therefore, you can watch their coverage of all the England games from the comfort of your sun lounger by the pool, anywhere in the world. So, the best way to watch England’s World Cup games from overseas is by using a VPN. But how do you do this, and which VPN should you use? Choose a VPN provider. We recommend NordVPN, and sign up for their service on their website. Once you’ve signed up go to the VPN Apps section of their website and download the best app for your device. These should also be available in your app store too. Open the NordVPN app and login with the account details you were given in step one. Select the United Kingdom on the world map and click on it. It should connect automatically, but if it doesn’t click the Connect button. The connection shouldn’t take more than a few seconds and once it is established, just head over to the BBC iPlayer website or the ITV Hub website to stream every minute of all England’s World Cup games live. The FIFA World Cup 2018 is being held, somewhat controversially, in Russia. The competition itself runs from June 14th – July 15th and there will be a total of 64 matches played. The Tunisia and Panama games will be live on the BBC, while ITV has coverage of the Belgium fixture. If England qualifies from their group (and they really should) they will play a Round of 16 game on either July 2 at 7 pm in Rostov, or July 3 at 7 pm in Moscow. This will be broadcast on ITV. Their potential quarter-final dates are July 6 at 7 pm in Kazan or July 7 at 3 pm in Samara. The two semi-finals are being held on July 10 at 7 pm in St Petersburg and July 11 at 7 pm in Moscow, while the World Cup Final itself is on July 15 at 4 pm in Moscow (you have to dream!). These games could be on either broadcaster. For the first time in a while, England goes into this tournament without too much in the way of serious expectation to burden them. Rookie manager Gareth Southgate has picked a pretty young squad with relatively few star names on the plane. Harry Kane will captain the team and off the back of consecutive 30-goal seasons in the Premier League will be looked to by many as the talisman. But this will be his first World Cup. Creativity is likely to come from the likes Raheem Sterling, who has enjoyed a stellar season at Premier League Champions Manchester City, and Dele Alli, who has endured a mixed-season at Spurs. At the back, Chelsea’s Gary Cahill has been in and out of their team but offers the only experienced head at centre-back, while the omission of the experienced ‘keeper Joe Hart for three relative novices at international level has certainly raised a few eyebrows. While Southgate claimed he had picked a team to excite the nation, the bookies have placed England at only 7th favourites to lift the trophy, with odds of 16/1. Germany and Brazil are currently co-favourites at 9/2, with Spain, France, Argentina, and even Belgium rated a better bet than the Three Lions. If you are going be heading overseas during the World Cup, but don’t want to miss a minute of the action, we have got you covered. All of England’s games are live on either the BBC or ITV, and if you use a VPN, you will be able to watch coverage from both broadcasters no matter where you are. Just follow our simple guide above to connect your VPN to a UK server and then log into either the BBC iPlayer or the ITV Hub as usual. Then, all you need to do is sit back, crack open a beer, and cheer on the boys!